Home / Prohormones / Hi-Tech Pharmaceuticals Halodrol 30ct, BOGO Available!! Hi-Tech Pharmaceuticals Halodrol 30ct, BOGO Available!! Special Promo – buy 1, get 1 at 50% off on Hi-Tech Pharmaceuticals Halodrol, with FREE shipping! Discount will show up in shopping cart when you select 2 or more items. This is for a limited time only!! I TECH PHARMACEUTICALS – HALODROL IS BACK! Do you need help boosting your testosterone and builder muscle mass quick? One thing you have to take into consideration is memorable products. They are memorable because they work and guess what? Halodrol is finally back and is as strong as ever! 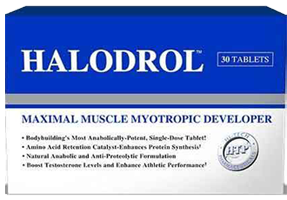 Halodrol is using this years top of the line prohormones for testosterone boosting and muscle mass enhancing to get that summer body you want and feel amazing! One of the best phrohormones on the market in the fitness industry, and guess what, its LEGAL, Hi-Tech Pharmaceuticals Halodrol! The key ingredients and combinations in Hi-Tech Pharmaceuticals Halodrol is the reason why it works and why is one of the most popular and potent prohormones out there. Let’s break it down. The first ingredient is 1-Androsterone. 1-Androsterone is a very popular prohormone that is LEGAL that is also known as 1-DHEA. The special thing about this ingredient is that it undergoes a two-step process to become 1-AD or otherwise known as 1-Testosterone. That is the ingredient that everyone strives for and it is 7 times more anabolic and potent then just plan testosterone. During the conversion process, it doesn’t convert to estrogen, so you don’t have to worry about water retention, gyno, or liver stress, making an environment for growth of lean muscles. The last ingredient is Rhaponticum Carthamoides Extract. This ingredient is an herb used in Russian culture and medicine to strengthen physical performance and sexual performance. 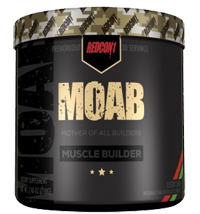 It’s also a natural anabolic and adaptogen that triggers more protein synthesis by acting directly with muscle cells. By doing this, it stabilizes glycogen levels and increases blood flow to muscles. When taking any prohormones, its a good idea to take a good PCT. Halodrol’s ingreidents are super strong, so its good to take something to help your body. Something like Hi-Tech’s ArimiPlex. Blackstone Labs Brutal 4ce 60ct, BOGO Available! !